A lively, colourful portrait of the muddles and eccentricities of the military campaign and of the harsh beauties of the region. Valuable to a variety of historians, and that transcends specialisation by reminding us of the ultimate unity of history. Widely researched and well-written… lively and engaging. A captivating story… brings into sharper focus some lesser-known yet important facets of the conflict. Artist, adventurer, soldier and politician, Philip Woods, ‘King of Karelia’ and Belfast’s ‘Fighting Colonel’, participated in many of the dramatic events of the early twentieth century: he served with Baden-Powell in South Africa; joined the Ulster Volunteer Force to oppose Irish Home Rule on the eve of the Great War; then, as an officer of the Royal Irish Rifles, he was decorated for his bravery on the Somme. During 1918–1919, Woods accompanied the Allied expedition to revolutionary Russia, where he became embroiled in the struggle of the Karelian people for independence. In the 1920s, as an independent, non-sectarian member of the new Northern Irish parliament, shunned by the Unionist establishment, he witnessed the province’s bitter politics at first hand, and dedicated himself to promoting religious and social reconciliation. In England in the 1930s he unwittingly became involved with the notorious British Nazi, William Joyce (‘Lord Haw-Haw’). 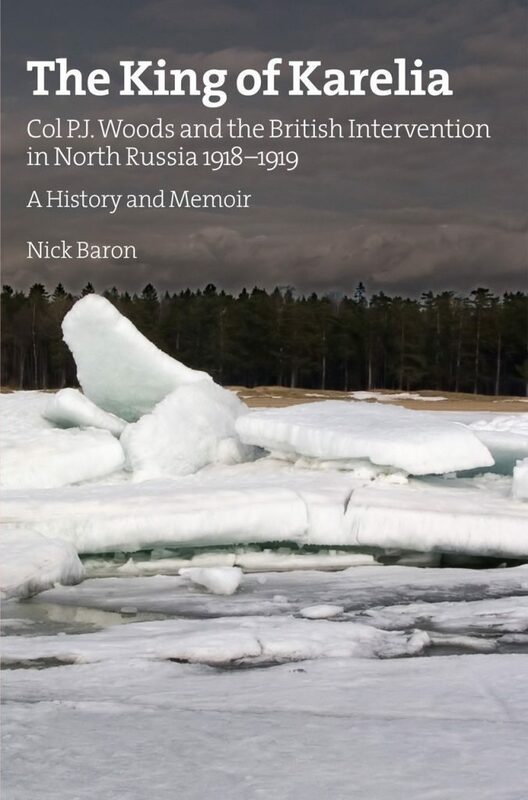 Nick Baron teaches twentieth century Russian and East European history at the University of Nottingham, UK. He is the author of Soviet Karelia. Politics, Planning and Terror in Stalin’s Russia, 1920–1939 (2007) and co-editor of Homelands. War, Population and Statehood in Eastern Europe and Russia, 1918–1924 (2004) and Sovetskaia Lesnaia Ekonomika. Moskva-Sever. 1917–1941 (2005). He is currently working on a cultural history of Soviet cartography. What TE Lawrence was to the Arabs, Colonel PJ Woods was to the people of Karelia, the land lying between Russia and Finland. Woods was posted there in 1918, when the Allies aimed to prevent German occupation of north Russia. The British troops stayed after the end of the first world war, with the new objective of using Karelian help to arrest the progress of bolshevism. Woods, born in Ulster, became the Karelians’ champion, despite some squeamishness about their lack of “any recognition of humane principles in warfare”. He designed their Irish-themed regimental badge and flag, and unsuccessfully petitioned the British to support their fight for independence. The King of Karelia is in two parts. In part one, Nick Baron gives Woods’s biography, taking in his childhood in Ulster, military service in the Boer and first world wars, political campaigns in the 1920s and involvement with – though not sympathy towards – the far right in the 1930s. Part two is Woods’s account of his Karelian experiences. As both a literary and a historical document, it proves to be worth the revival: a lively, colourful portrait of the muddles and eccentricities of the military campaign and of the harsh beauties of the region.